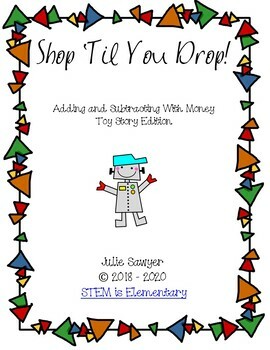 Shop 'Til You Drop contains two activities for students to practice addition with money amounts. 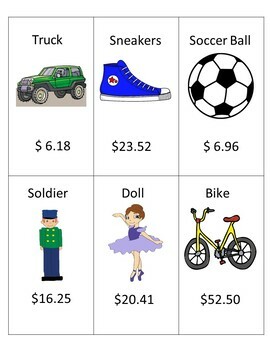 The toy story edition has students adding up the prices of two different toys and the back to school edition is all about buying school supplies. 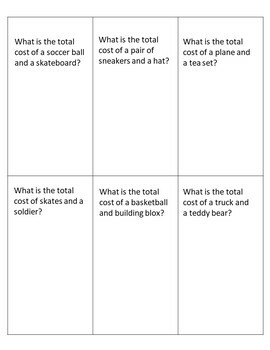 Task cards are included with each set and an answer key is provided. The back to school edition involves simpler addition facts. 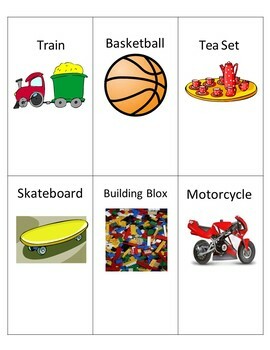 Cards without prices are also included for ease in differentiation.